Apple knows how to sell iPhones in large quantities, especially just after the launch of a new version of its most popular product. As anyone who has ever tried to buy a new iPhone during launch weekend, or indeed launch month, will attest, Apple simply can’t make the newest, hottest phones as quickly as it can sell them. With that in mind, it’s no great surprise to learn that, according to one report at least, Apple’s iPhone 7 and iPhone 7 Plus were the best selling smartphones during the three months ending November 2016. According to a new Kantar Worldpanel ComTech report, when it came to sales in the United States during September, October and November combined, there was just no competition for Apple’s iPhone 7 or iPhone 7 Plus. Actually, that’s not strictly true, because there was indeed competition in the shape of Apple’s outgoing flagship, the iPhone 6s. That means Apple’s iPhone took the top three spots for the period in question. The results obviously also mean that iOS did well, too. In fact, iOS share rose to 43.5% and Android’s fell to 55.3%. The remainder of the market is made up of the likes of Microsoft’s Windows phones and those who still carry devices made by BlackBerry. 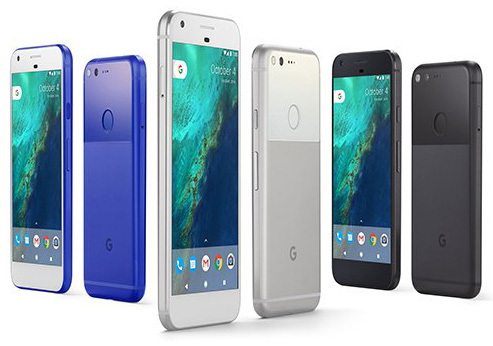 It was early days for Google’s Pixel, having only launched on October 20th, but the Android maker’s first smartphone sold well, with 1.3% of sales made up of the Pixel and Pixel XL devices. Considering the pair had little over a month in which to make an impact, Google can be quietly pleased with such a result. With Apple reportedly cutting back iPhone 7 and iPhone 7 Plus production due to poor sales by Apple’s standards, news of exceptional launch numbers like this will be well received in Cupertino, though we’re sure they already knew exactly how many phones they sold. Still, it doesn’t hurt for everyone else to know how well your smartphones sell, does it? Don’t be a stupid prick and state the obvious. iOS is limited to Apple products whilst Android is available to all who want to use it hence the bigger market share. You are laughing at an OS that can be used in many markets from expensive to cheap with cheaper alternatives available because top tier smartphones and tablets cannot be afforded in some regions. “1,000+ lol”, yay for choice. Oh, and I fall into the 43% bracket before you call me out. iPhone user here but I must say that I really love Pixels camera. Well said a lot of people don’t understand that iOS is a closed door operating system that’s only Apple has access to and android is available to anyone who wants to use it in there product you can never compare iOS to android simply because of that alone! Apple makes a good product that’s for sure but the diversity and complexity that is android is always a win in my book simply because it offers 1000+ more features and has practically no limitations! You can download files from the web like music and apps you have more control over the product you purchased with your money…not like Apple who is good with taking your money and still acting like they own the damn device and you can only do what they want with it! I currently own a 7 plus and I’m very happy with it but that pixel is taunting me! Apple definitely makes a good operating system because it’s simple and it simply works but android picks up where Apple is slacking and that’s the customizable features it offers! As you can tell I like both systems and currently rocking the 256gb black 7 plus and the ever so popular blue & gold note 7…….. still hasn’t blown up on me! There’s not 1000+ in the US MARKET. How convenient that they don’t report global sales. And Apple, who has always boasted sales figures of there device every couple of months over the last 10 years, suddenly stopped doing so. Can you say “stock price”? I was an iPhone user for years until I got the Pixel XL and gave it a go. Best decision I ever made! I could get it just for the camera. But would keep the iPhone as the everyday phone. Both are great phones. The Pixel 2 should be a very good phone. I find it interesting that this article doesn’t mention the fact that Samsung’s S7 and S7 Edge held 4th and 5th place. Guys just because Americans buy iPhones doesn’t make it a good product. After all VW recently duped you guys by selling their diesel cars with more filthy emissions than a Diesel locomotive and it was still honored the Green Car of the Year. iPhone aren’t selling the volumes that they claim, it’s as simple as that. I know what the response is going to be to my claim. I would just like to remind the iPhone fans that the Media are great at reporting infactual information especially in the USA where just recently Media Houses were reporting a 98% sure win for Hilary Clinton. iPhone have a clever system and have for years been able to manipulate their sales figures which achieved high share prices etc. My question is why did Apple feel it necessary to issue bonds when it was rolling in tens of billions of cash? Corporations issue long term debt bonds to secure short to medium term cash liquidity. The mighty Apple swimming in tens of billions of dollars did not have to issue bonds but it did. Why ?